LongIsland.com - Your Name sent you Article details of "Groundhog's Day Predictions, Celebrating Valentine's Day, News & More in February 1st's Newsletter!" Celebrate Groundhogs Day and plan the perfect Valentine's Day celebration for your Sweetheart! Looking for a romantic spot to enjoy Valentine's Day this year? Then look no further than Antun's of Hicksville, which is hosting an amazing Valentine's Day Special on February 14th! On the 14th, starting at 7PM, they will be hosting a special Valentine's Day Buffet dinner, which will include mouthwatering appetizers, savory entrees, and tantelizing dessert options that you are your sweetheart are sure to enjoy. There will also be music, dancing, games, prizes, and all sorts of special surprises throughout the night! Make VDay a night to remember - call Antun's today for pricing & reservations! please visit their website or call 516-681-3300. 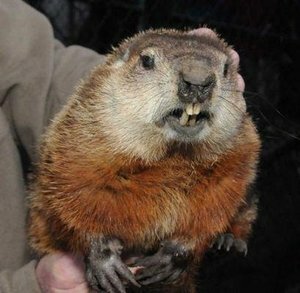 We've gotten through the duldrums of winter, and if you're a supersticious sort, you'll want to pay close attention this weekend to the predictions of Puxsutawney Phil, as well as our local Long Island Groundhogs, who many believe will predict whether or not the weather will stay cold for another six more weeks. Valentine's Day is right around the corner, and thankfully, there are plenty of special events and celebrations to enjoy in honor of the most romantic day of the year. From special meals to adventurous excursions and day trips, local businesses Island-wide are kicking it into full gear with all sorts of great ways to surprise that special someone. It is not uncommon for individuals with ADD and AD/HD symptoms to have weak cognitive skills. Cognitive skills are the underlying mental abilities that enable us to process information. With testing to determine cognitive strengths and weaknesses and appropriate “brain training” exercises, students can see dramatic improvement without medications. A study by Torkel Klingberg, a neuroscientist at the Karolinska Institute in Stockholm, showed that 60 percent of the unmedicated AD/HD children in his study no longer met the clinical criteria for AD/HD after five weeks of cognitive skills training. Steve Kent is the director of the Jericho LearningRx Cognitive Skills Training Center. For more information, please visit their website, or 516-870-3737. Get Ready for Groundhog's Day! A Drawn Out Winter, or Warm Weather - Which is Headed Our Way? Long Island is lucky enough to have Malverne Mel and Holtsville Hal. Will we have six more weeks of winter or an early spring? Groundhog Day has its origins in an ancient celebration of a point mid-way between the Winter Solstice and the Spring Equinox. Superstition says if they see their shadows when they emerge from their hutches, we could have six more weeks of winter. The Long Island groundhogs have been at odds for some years now. Last year Holtsville Hal predicted an early spring, while Malverne Mel saw his shadow meaning six more weeks of winter. If you want to plan a Valentine's Day meal for you & your sweetheart that is as delicious as it is memorable, look no further than Rare 650 of Syosset - one of Long Island's favorite steakhouses. Their mouthwatering menu is packed with steak and seafood options to suit any palate, and their cocktail specialities and wine list are expansive, offering something for everyone. Valentine's Day comes but once a year, so be sure to do it right in 2013, and make your Valentine's reservations at Rare 650 today! For more information & reservations, please visit their website, or call 516-496-8000. If you’re looking for some music this weekend then this is the event for you! Head on down to Madison Theatre at Molloy College for a concert you won’t forget! Starting at 8PM this Saturday, February 2nd, the concert will feature live performances by The Shirelles, The Drifters, The Teenagers and The Chiffons! Tickets cost from $30-$50. Don’t miss out a this rockin’ opportunity for a fun night out! If you’re excited for the Super Bowl then you should definitely be excited for the Doggybowl! PETCO Glen Cove will be hosting this year’s Doggybowl Smashup to benefit Glen Cove’s Animal Lovers League this Saturday, February 2nd, from 11:30AM-1:30PM! Bring down your dog all dressed up in his favorite team jersey for pictures, prize giveaways and more! Donations will be accepted for the League. Come on down for this adorable event! If you’re a cycle enthusiast then its time to get out there this weekend! Help find a cure for rare cancers by participating in this year’s Cycle for Survival! Hosted at Equinox Roslyn this Saturday, February 2nd, Teams will register to ride for a 4 hour shift with a maximum of 8 riders. Teams may register more than one bike. All proceeds will go to the research of rare cancers such as brain cancer, pancreatic cancer and pediatric cancers at Memorial Sloan-Kettering Cancer Center. This event will start at 7AM and go through 5PM. The event also has massage therapy, yoga classes, and fun children's activities! If you’re looking for a deal this weekend then come on down to Paradise Bridal and Tuxedos! From 11AM to 4PM this weekend you can get designer gowns at a fraction of the cost! Gowns are as low as 75% off, some even starting at $99! Don’t miss on this great opportunity to save money on what can be the most expensive part of your wedding! Coming to SCCC March 1st - 3rd for a Fun Filled Weekend Animal Lovers Can't Miss! For Long Island pet lovers, this is the can't-miss event of the year! March 1st - 3rd at Suffolk County Community College's Brentwood Campus, the Long Island Pet Expo comes to town - offering you the chance to meet & greet with adoptable furry & feathered friends, enjoy training seminars and demonstrations, learn about the hottest new trends in pet care, and more! Tickets are $12 for adults, $5 for children 11 & under, and kids under 3 are admitted for free! Guests are asked to please refrain from bringing their pets to the show, for the safety of the pets & animals that will be attending the Expo with vendors and exhibitors, and you are thanked in advance for your compliance. Mark your calendar, and get ready for the Pet Event of the year - don't miss the Pet Expo this March! For tickets or more information, please visit their website, or call 631-423-0620.